About - Chet Catallo Productions, Inc.
Born and raised in Rochester, New York, internationally acclaimed guitarist-composer-producer and 6-time Grammy nominee Chet Catallo - a member of the Jazz Hall of Fame - is predominantly a self-taught musician. His musical talent was evident at the age of three, when he was already playing on toy instruments, and blossomed by the age 10, when he established his first band. From 1978-1984, Catallo was a member of innovative contemporary jazz group Spyro Gyra, one of the first bands to cross over from fusion jazz to pop, topping the charts in multiple categories. While with the group, Catallo was a headliner at jazz and music festivals around the world, including performances at Carnegie Hall, Radio City Music Hall, and the Newport Jazz Festival, playing on the same bill with legends such as George Benson, Miles Davis and Herbie Hancock. Additionally, Catallo was responsible for writing some of Spyro Gyra's most popular gold and platinum hits, including CafeAmore, Lovin You, and It Doesn't Matter. At the end of 1984, Catallo, along with drummer Eli Konikoff, left Spyro Gyra and formed Chet Catallo & the Cats, which remains an innovative force in jazz music, with an active performance and recording schedule. Most recently, in 2009, the group released a CD, First Take, comprised almost entirely of Catallo's original compositions. 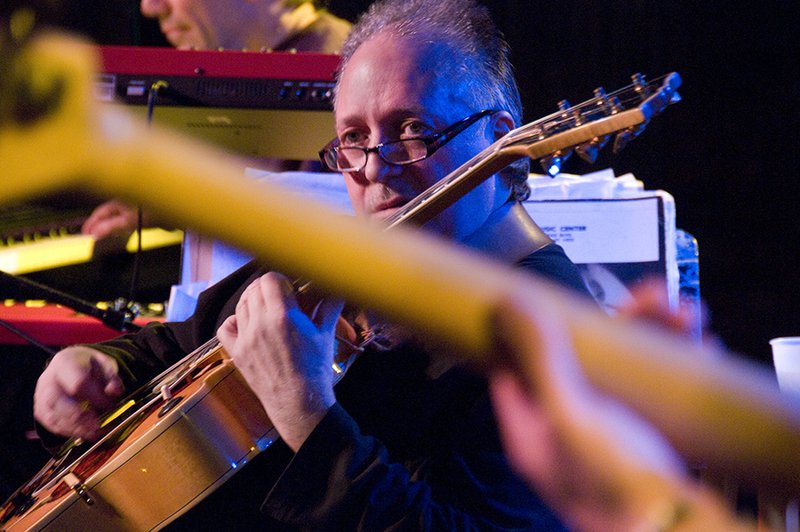 The recording features several of the musicians who've played with Catallo since leaving Spyro Gyra, including the late Ralph Ortiz, Andy Calabrese, Steve Curry, Charlie Curran, Jim Richmond, and Vince Ercolamento. Catallo, who is constantly composing and creating new material, feels that his music is not just jazz, but something much more adventurous, combining Latin influences with funk, R&B and many pop elements. First Take, which was recorded live and mixed on the spot, was accepted for the nomination process in 13 Grammy categories, including Best Pop Instrumental Jazz Album, Best Instrumental Composition, and Album of the Year. In addition, for many years Catallo has conducted guitar clinics, on behalf of Gibson Guitar Corporation, throughout the United States and Japan. Through his natural gift of music, for a lifetime, Chet Catallo has entertained and inspired audiences across the globe. Chet Catallo has officially endorsed Gibson Guitars since 1978. Chet plays and endorses the 1968 Gibson L-5 CES Custom Guitar—the same guitar played and endorsed by Wes Montgomery. It was an honor to be asked by Gibson to endorse and play the same guitar as one of his major influences and musical idols. Chet also plays and endorses his own Gibson Custom Shop Model Guitar, a Chet Catallo signature Custom 335 Dot Model Series 1958 reissue. Having endorsed Mesa Boogie Amplifiers since 1978, he still endorses and plays through a Boogie Custom-Wired Mark IIB Simul-Class Combo, which he’s used since his early Spyro Gyra days. He also uses a Mesa Boogie Tri-Axis Pre Amp and 295 Stereo Power Amp with two 12” EVL closed-back Boogie Thiele Speaker Cabinets and an assortment of larger 2-12” Electro-Voice Speakers (EVL) by Boogie. Chet Catallo has been a major featured guitar clinician for Gibson, playing at NAMM tradeshows with Larry Carlton, Les Paul, Chet Atkins, B.B. King, Louis Bellson, Ralph Armstrong, Billy Peterson, Mike Elliott, Bruce Bolin and many more of the greats. He also conducts his own guitar clinics throughout the United States and Japan on behalf of Gibson Guitars.